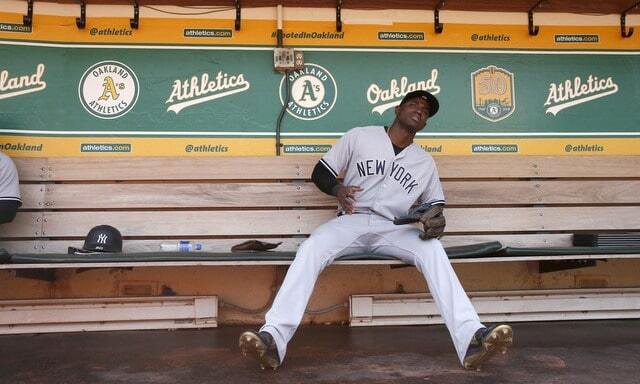 All things considered, this series is going well for the Yankees. They’ve won two of the first three games and, even in the loss yesterday, they showed some serious ninth inning fight and simply ran out of outs. This afternoon the Yankees will look to earn their first series win in Tropicana Field since, well, last September. Surprised it was that recent. 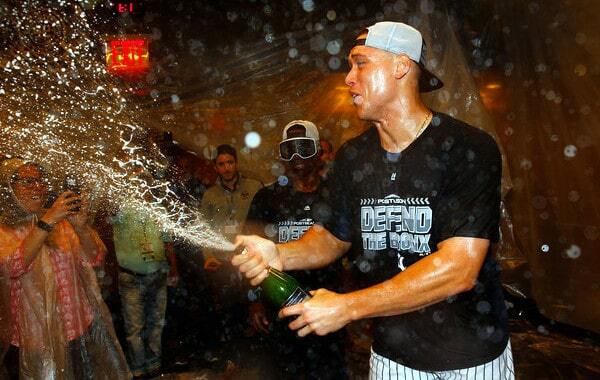 Then again, the Yankees are 2-5 in their last seven series at the Trop, so yeah. It is nice and sunny in St. Petersburg today and dark and gloomy in Tropicana Field. Good day to play baseball outside. First pitch is scheduled for 1:10pm ET and you can watch on YES locally and MLB Network out-of-market. You can also watch on Twitter. Twitter? Twitter. Enjoy the game. Injury Updates: Aaron Hicks (hamstring) is tentatively scheduled to return to the lineup tomorrow, Aaron Boone said … Didi Gregorius (wrist) took batting practice on the field, though Boone cautioned they’re not out of the woods yet. 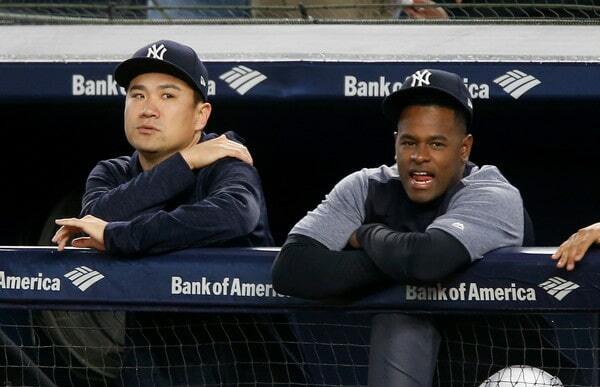 Gregorius remains day-to-day and there is no firm timetable for his return to the lineup … Walker (shin) went for x-rays after the hit-by-pitch last night. They came back negative and he’s fine, hence his presence in the lineup. Rotation Update: J.A. Happ starts Friday, Lance Lynn starts Saturday, and Luis Severino starts Sunday. That presumably takes Severino out of the running for the Wild Card Game start, though Sunday could be a short “throw day” outing rather than a full blown start. Right now, Happ lines up to start the Wild Card Game on normal rest with Masahiro Tanaka lined up on two extra days rest. 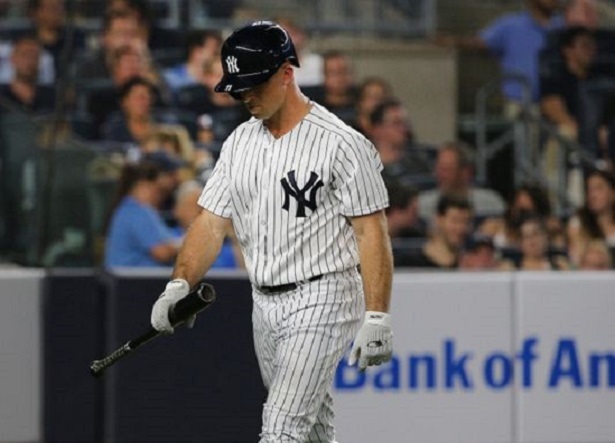 The Yankees kicked off their week-long homestand with a frustrating loss to the White Sox, a spectacular crash back to reality, another late lead blown thanks to sloppy defense and baserunning mistakes. But that’s baseball, that’s why you play game the game on the diamond and not on paper. The ugliest stat was the fact that the Yankees had as many hits as errors (3) in the game. Unsurprisingly, teams are 0-20 this season when the number of errors they make is the same or more than the number of hits they get. The last time the Yankees won such a game — while getting at least two hits — was June 2, 2004 against the Orioles (3 errors, 3 hits in a 6-5 win). Gleyber also was the sixth Yankee to reach the 20-homer mark in 2018, the most such players in MLB. This is the fourth Yankee club to have six (or more) players hit 20 bombs; the other seasons it happened were 2009, 2004 and 1961. From massive disappointment to mammoth jubilation, the Yankees quickly rebounded from Monday’s crappy loss with a thrilling comeback walk-off win 24 hours later. It was their seventh walk-off win of the season, two more than last year, and tied for the second-most among AL teams in 2018 (through Tuesday). This was the Yankees fifth comeback win when facing a deficit of at least four runs, their most in a season since 2012 (also 5). The Yankees were still down by two runs until Aaron Hicks evened the score with his own two-run blast in the bottom of the eighth. This was the first time in his career he tied a game in the eighth inning or later with a homer. 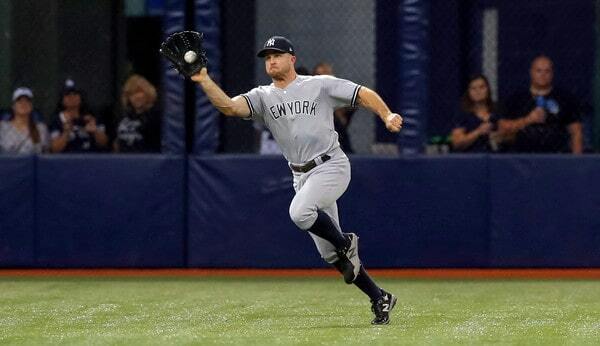 It also paved the way for the Yankees fifth win this season when trailing by multiple runs at the start of the eighth inning, the second-highest total in MLB this season behind the A’s (7). Neil Walker capped the rally when he ambushed the first pitch he saw as a pinch hitter in the bottom of the ninth inning and deposited it into the rightfield bleachers. It was just the second career walk-off homer for Walker, and the first time he ever went deep in a game as a pinch hitter. 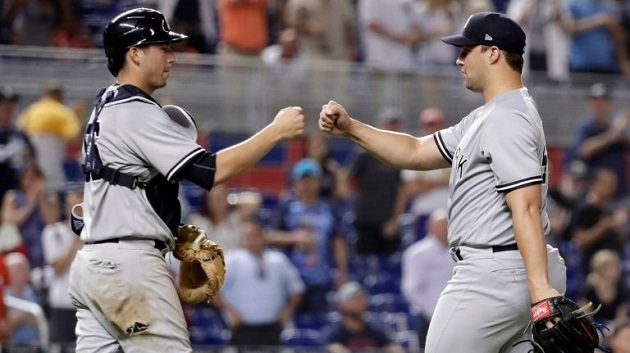 The comeback mojo disappeared on Wednesday as the Yankees dropped the rubber game, 4-1. This is the first time the Yankees lost a series to the White Sox at the new Yankee Stadium; the White Sox were the only AL team that had never won a series at the current ballpark in the Bronx. The last time the Yankees lost a series to the White Sox at home was August 8-10, 2005 (lost 2 of 3 games). How long ago was that? The White Sox — on pace to lose nearly 100 games this season — won the World Series in 2005. And the three starters for the Yankees in that series more than 13 years ago were Mike Mussina (win), Shawn Chacon (loss) and Aaron Small (loss). White Sox outfield Ryan LaMarre was the Yankees kryptonite on Wednesday, and one of the most unlikely guys to play that role this season. LaMarre went 3-for-4 with two doubles and a homer, and drove in all four runs for the visitors. Entering the game, in 165 career at-bats, LaMarre had compiled six doubles, one homer and 11 RBI. Ronald Torreyes made sure the Yankees wouldn’t get shut out when he delivered a bases-loaded one-out RBI single in the fifth inning. Torreyes definitely has a knack for bringing home baserunners that are 90 feet from home plate. Since the start of last season, in 23 plate appearances with a man on third and less than two outs, Torreyes has driven in the runner 19 times (82.6%) and has struck out zero times; the MLB average for scoring the runner from third with less than two outs is 50 percent. 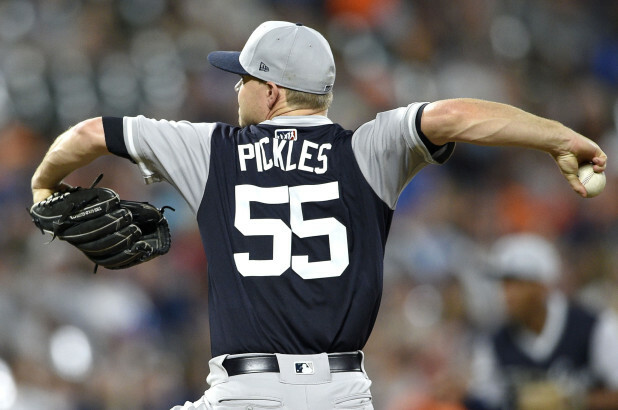 The Yankees opened the series in Baltimore with a comeback win in 10 innings on Friday night. It was their first extra-inning win at Camden Yards in more than five years — since May 20, 2013 — after losing their previous four matchups there that went to overtime. The victory improved the Yankees extra-inning record this season to 8-5, their most extra-inning wins since 2001 (8-8). It also was their eighth win when trailing at the start of the eighth inning, matching their win total from last year, and tied for the second-most in MLB this season (only the A’s had more through Friday). The Yankees clawed back twice from a two-run deficit to win the game. 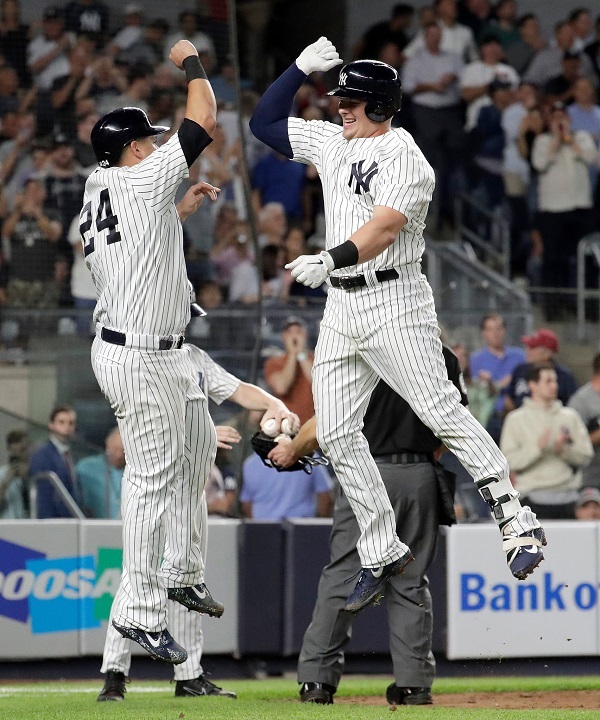 The first rally was capped by a two-run bomb in the fourth inning from Luke Voit, his first homer as a Yankee. Voit boosted his pinstriped legend status with another two-run dinger in the 10th for his first career multi-homer game. Both the homers came off righties — prior to Friday, Voit had just two homers in 102 plate appearances against right-handed pitchers in his big-league career. 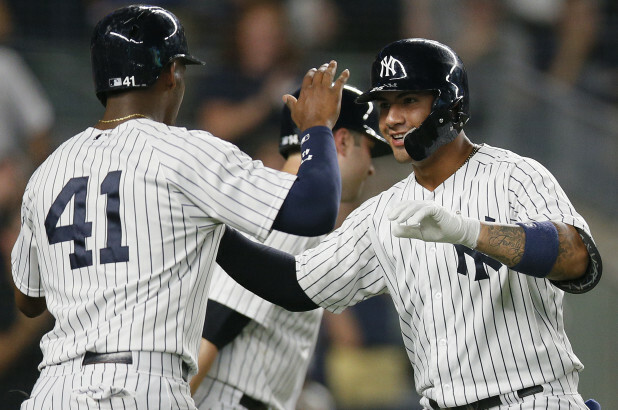 After the Orioles re-took the lead in the seventh, Gleyber Torres responded with a clutch, game-tying two-run single in the top of the eighth. It was his second hit this year in the eighth inning or later that tied the game; he is the only Yankee with multiple hits like that this season. 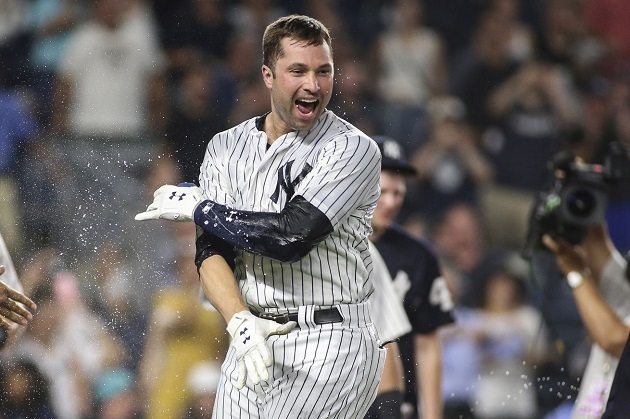 Neil Walker capped the second comeback with a solo homer in the 10th inning, and combined with Voit’s bomb in that same inning, it was the second game this season that the Yankees hit two or more homers in the 10th inning or later (also on June 6 at Toronto). #FunFact: The last time that the Yankees had two different games in a season where they smacked multiple extra-inning homers was 1941. A winning streak against a bad team? Yes! 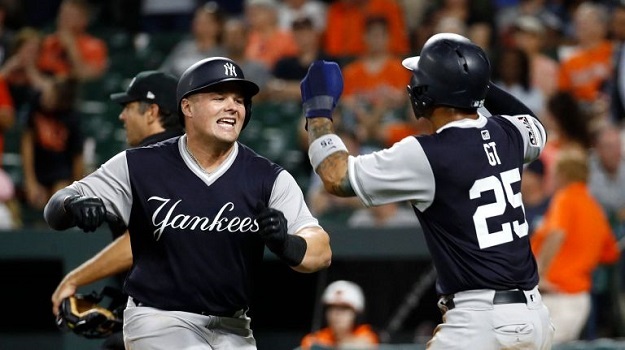 The Yankees clobbered the Orioles in the first game of Saturday’s doubleheader, hammering four homers en route to a 10-3 win. It was their MLB-leading 13th game this season with at least four homers; no other team had more than eight such games entering the weekend. 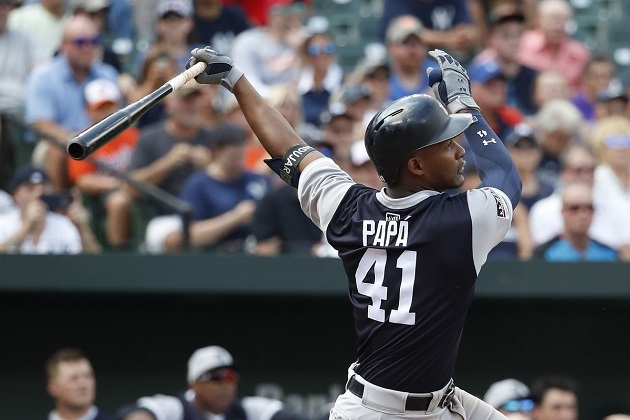 Miguel Andujar kicked off the home run derby with a go-ahead three-run blast in the third inning. It was his 21st of the season and 10th that either tied the game or gave the Yankees the lead. He is the youngest Yankee with at least 10 go-ahead/game-tying homers in a season since a 23-year-old Don Mattingly hit 11 in 1984. First left-hander to win each of his first five games with the Yankees since Babe Ruth, who appeared in five games (four starts) for the franchise from 1920-33 and won all five games … with a 5.52 ERA. First pitcher to both start and earn the win in each of his first five appearances as a Yankee since Bob Turley in 1955. And finally, Happ is the first pitcher in franchise history to start in each of his first five games as Yankee, and get a win in each of those games while allowing no more than three earned runs. The Yankees won 5-1 in the nightcap of Saturday’s twinbill, the first time they took both games of a doubleheader since April 16, 2014 against the Cubs at Yankee Stadium. That snapped a streak of 10 straight doubleheaders either split or lost, their longest drought since 1969-70 (14 straight). You have to go back seven more years to find the last time the Yankees swept a doubleheader on the road — May 3, 2007 at Texas. And the last time they won both games of a twinbill at Camden Yards? July 13, 1996. That’s four straight starts at Camden Yards with no more than one run allowed, the longest such streak since Pedro Martinez had a similar stretch from 2000-02. And going back further to his last start there with the A’s, it’s five straight starts at Camden Yards with no more than one earned run allowed, the longest streak by any pitcher in the history of the ballpark. Tommy Kahnle couldn’t close out the game as the Orioles pounded him in the bottom of the ninth, so Dellin Betances came to the rescue and struck out Caleb Joseph for the final out. It was Betances’ 33rd straight game with a strikeout, the longest such streak by a reliever in AL history (previous record of 32 was set by Jeff Montgomery in 1989). The MLB record is 49 by Aroldis Chapman with the Reds from 2013-14. 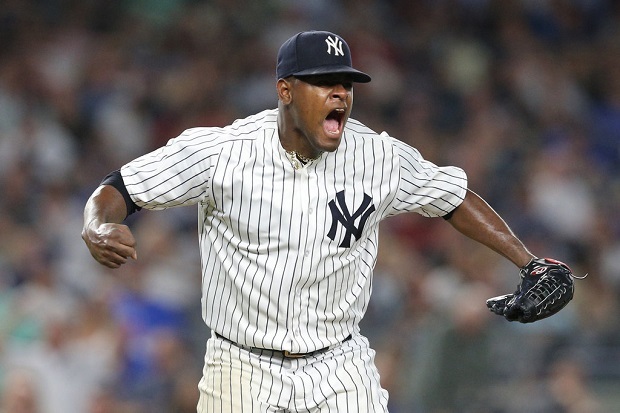 The Yankees continued their newfound skill of beating up on bad teams as they finished off the series sweep with a 5-3 win on Sunday night. It’s their first four-game sweep of the Orioles in nearly 13 years — since September 19-22, 2005 (in New York) — and their first four-game sweep of the O’s in Baltimore since August 14-17, 2003. They’ve now won 17 of their last 21 games against sub-.500 teams. Luke Voit: 3+ hits in 2 of last 3 games. Voit had 0 career games with 3+ hits before August 24. Andujar finished 3-for-5 with two RBIs on Sunday night; he now has at least two hits in 45 of his 124 career games. The last Yankee to pile up 45 multi-hit games this early into his major-league career was Phil Rizzuto (48 in 124 games) in 1941. David Robertson pitched a clean ninth inning for the save, the fourth different pitcher to save a game during the weekend sweep (Luis Cessa, Zach Britton, Dellin Betances are the others). Obscure Stat Alert! Since saves became official in 1969, this is the first time that the Yankees have won four straight games with a different pitcher earning the save in each game. The Yankees survived a bizarre game on Tuesday, somehow pulling out a 2-1, 12-inning victory in a game that neither team seemed interested in winning. The Marlins and Yankees combined to go 1-for-20 with runners in scoring position, and fittingly, the winning run was scored on an out. The Yankees improved to 19-12 in games decided by one run, surpassing their win total from last year (18-26). They also improved to 7-5 in extra-inning contests; the last time they had a winning record in extras while playing at least 10 games was 2009 (7-3). 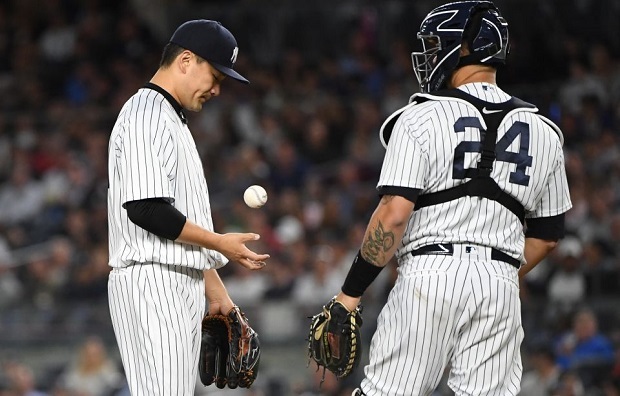 Masahiro Tanaka tossed six solid innings and his only mistake was a splitter he left up in the zone that Austin Dean clobbered for his second career home run. That was only extra-base hit and run Tanaka allowed, who has been pitching like an ace over the last two-plus months. Since June 8, he has a 2.75 ERA in nine starts, the best in the rotation and a top-20 mark among MLB starters in that span. Miguel Andujar has 25 PA with man on 3rd and less than 2 outs, and runner has scored 18 times (72%). 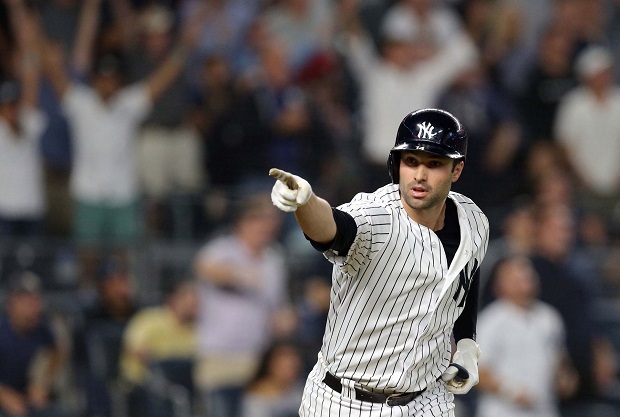 And because we can never give enough fun facts about Mr. Andujar, here’s one that earns our Obscure Yankeemetric of the Series: Since sacrifice flies were first recorded in 1954, Andujar is the only Yankee to hit a go-ahead bases-loaded sac fly in the 12th inning or later on the road. Congrats, more history! 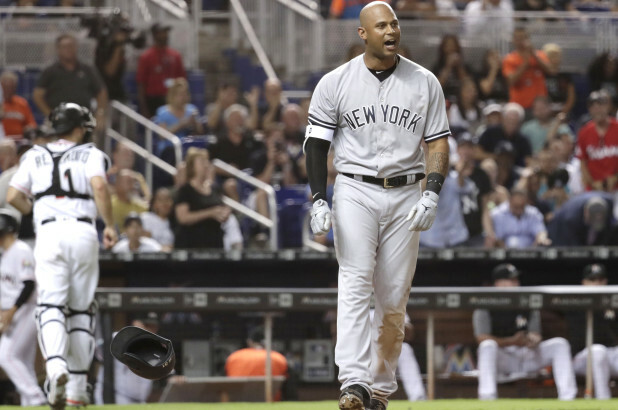 The Yankees four-game win streak was snapped in ugly fashion against the Marlins on Wednesday night. They jumped out to a 2-0 lead but somehow ended up on the wrong side of a lopsided 9-3 score, falling to a last-place team on pace for 97 losses. The Yankees split their four games with the Marlins this season; they outscored them 14-2 in the two wins and were outscored 18-4 in the two losses. Lance Lynn held the Marlins scoreless through the first five frames but then imploded in the sixth, coughing up five runs on five hits in the frame before getting pulled. This was Lynn’s eighth start with five-plus runs allowed this season, tied for the third-most in the majors; only Dylan Bundy (9) and Danny Duffy (10) have more. His 104th pitch of the night was a game-changing three-run dinger that turned a 2-1 Yankees lead into a 4-2 deficit, the first home run he gave up as a Yankee. Neil Walker drove in two of the three runs and added to our favorite underrated stat of the season when he hit a bases-loaded sac fly in the sixth. It was the Yankees MLB-leading 48th sac fly of the season, putting them on pace for 61. That would be the sixth-most in a single season in franchise history (sac flies became an official stat in 1954) and the most since 1997 (70).